Between going about your daily life and also trying to find the perfect present for your brother, it’s easy to forget about hat hair — that is, until you get a good look in the mirror. 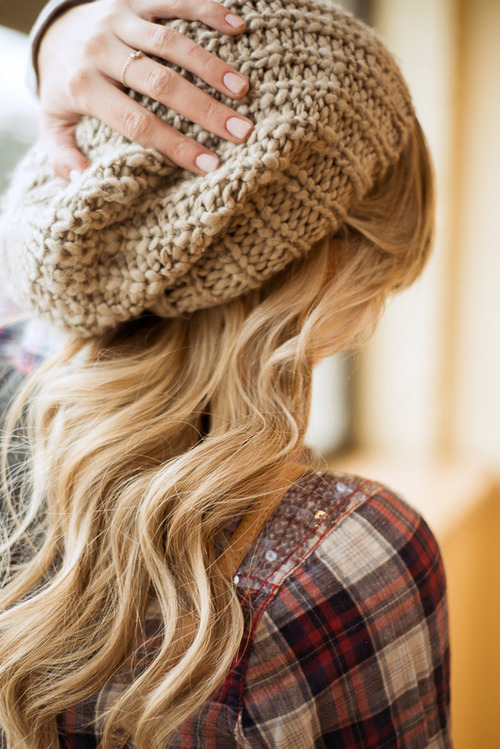 Maybe you have the dreaded dent from your beanie. Or, if you’ve lucked out and avoided that, your hair may be so staticky that it’s standing straight on end. The verdict, either way: Not cute. Hat hair stems from two problems: The hat itself and its BFF, static. Static is the consequence of dehydrated hair; for that, blame dry winter air and cozy indoor temps. Here, how to deal with both, whether you have time to prep or need to do some damage control — fast. Be strategic about the hairstyle and choose your hat accordingly. “If you’re going for a fitted cap, like a soft wool beanie, try wearing your hair in a low pony,” says hairstylist Nunzio Saviano, owner of Nunzio Saviano salon in NYC. On the other hand, when you have a hat with a tighter band (like a fedora) try wearing your hair wavy. “If you have waves from the mid-shaft of the hair to the ends, the crease will just blend in,” explains Nunzio. His ultimate fail-safe? A cute side braid. Keep It Dry. After styling (but before pulling on your hat), spritz an anti-static spray all over your hair. Try a hydrating one like R+Co Foil Frizz & Static Control Spray, which even has nourishing vitamin E and argan oil to keep flyaways at bay. Or, as an alternative, tuck a pack of Nunzio Saviano Anti-Frizz Sheets into your bag. Once you take your hat off, they’re easy to smooth over hair and will deliver moisturizing coconut oil. If you have straight hair, stash a mini brush so you can brush it through. If your hair is wavy or curly, just flip your head upside down and shake out your hair. “Then, rub a light oil onto your hands and run them through your hair,” says Nunzio. It adds shine and moisture without messing with your hairstyle. A mini version like Josie Maran Argan Oil Hair Serum won’t weigh down your purse — or your hair. Even with the help of a heat protector, hot styling tools like straightening irons and blow-dryers will only up your static factor. If you can’t quit them, Nunzio recommends using a moisturizing styling cream on damp hair to salvage some of the damage. We love Drybar Velvet Hammer Hydrating Control Cream. Shower Up.